Today we will learn about some degree words. We use degree words to explain the intensity of an action, adjective or another adverb. 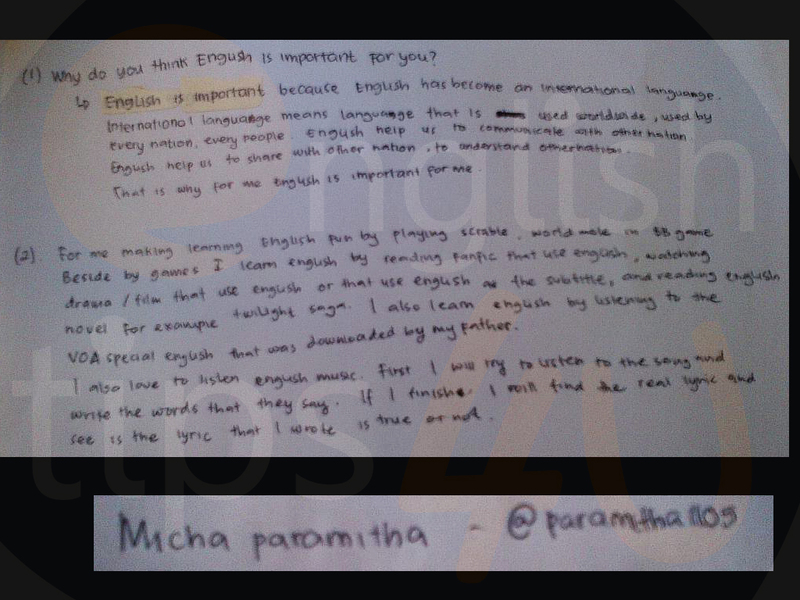 Compiled and written by @sherlydarmali for @EnglishTips4U on Sunday, October 15, 2017. Today we will learn about adverbs of manner. Adverb of manner describes the way something happens. Well: in a good or satisfactory way. 2. Awkwardly: in a worried or embarrased way. 3. Carelessly: without care or concern; inattentively. 4. Hard: with a great deal of effort. 5. Deliberately: in a careful and unhurried way. P.s. : Dress down = to dress informally. Dress up = to dress in smart or formal clothes. 6. Late: not on time; after the expected time. 7. Eagerly: emphasize a strong desire to do something. 8. Fast: at high speed. 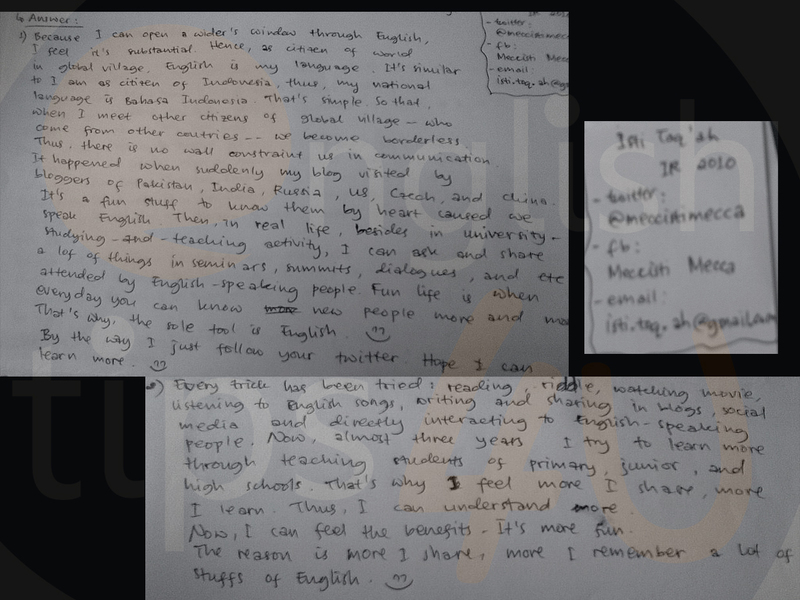 Compiled and written by @sherlydarmali for @EnglishTips4U on Sunday, October 1, 2017. Today we will learn about adverbs of frequency. Adverbs of frequency describe how frequent something occurs or things happen. Here’s the list of adverbs of frequency from the most frequent to the less frequent. 1. Always: at all times. 2. Usually: refers to what normally happens. 4. Sometimes: at times, now and then. 5. Occasionally: at infrequent or irregular intervals. 6. Seldom: not often, rarely. 7. Ever: at any time. 8. Never: at no time in the past and future. Compiled and written by @sherlydarmali for @EnglishTips4U on Sunday, September 17, 2017. Today we will learn how to use ‘so that’ to express purpose. We use ‘so that’ to express purpose. We often use it with modal verbs (can, would, will, etc.). We usually use so that with can/could and will/would. Compiled and written by @sherlydarmali for @EnglishTips4U on Sunday, September 3, 2017. Today we will learn more about reported speech. Reported speech is also called indirect speech, used to report something someone said. Compiled and written by @sherlydarmali for @EnglishTips4U on Sunday, August 20, 2017. 1. Which one is correct? Listen something or listen to something? The right one is listen to something. Why? Because when LISTEN is followed by a direct object, we have to use the preposition ‘to’? It should be ‘listen to something’ NOT ‘listen something’. e.g. Pete never LISTENS TO what his teachers say. 2. Lunch time or lunchtime? Apparently some of you have guessed it wrong. It should be ‘lunchtime’ NOT ‘lunch time’. Remember that lunchtime is written as one word. Lunchtime: the time in the middle of day when most people eat a meal. e.g. What are you doing at lunchtime? 3. Please note that NEVER usually goes directly before the main verb UNLESS if the main verb is am/is/was or were, then NEVER goes after it.He NEVER buys me a meal or He is NEVER here before 8 pm. Do you see the difference between both sentences? 4. If you want to describe how regularly something is repeated, which one you should use? Everyday or every day? Everyday means ordinary. e.g. The everyday lives of ordinary people in Jakarta. If you want to describe how regularly something is repeated, you’ve to use ‘every day’. e.g. I drink a glass of milk every day Remember that everyday is an adjective and is usually used before a noun. 5. Last, is this sentence correct? My brother really likes heavy metal but i hate it. Please keep it in your mind that ‘I’ is always written with a capital ‘I’. Don’t write ‘I’ with small letter (i). e.g. My brother really likes heavy metal but I hate it NOT My brother really likes heavy metal but i hate it. That’s a wrap, fellas. Have a great day! Right, let’s just begin today’s session. Part 2 of last Sunday’s, idioms with “line”! Fall in line. Meaning: to conform; to adjust (menyesuaikan diri). Go down the line. Meaning: mendatangi satu per satu. Hard lines. Meaning: something you say to express sympathy. Only in Britain and Australia. A: I failed my history exam. Hold the line. Meaning: not exceeding limit; not reduce or increase anything. In line with. Meaning: similar to something. In the line of duty. Meaning: as part of one’s duty, or happened during one’s duty. Lay some sweet lines on someone. 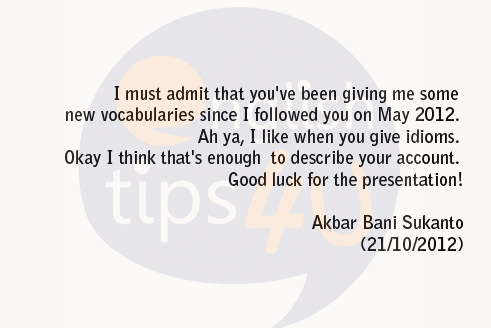 Meaning: to speak kindly to someone (dibaik-baikin). In/on the firing line. Meaning: in a situation that attracts criticism. Top of the line. Meaning: the very best of something. Keep your questions coming, fellas! 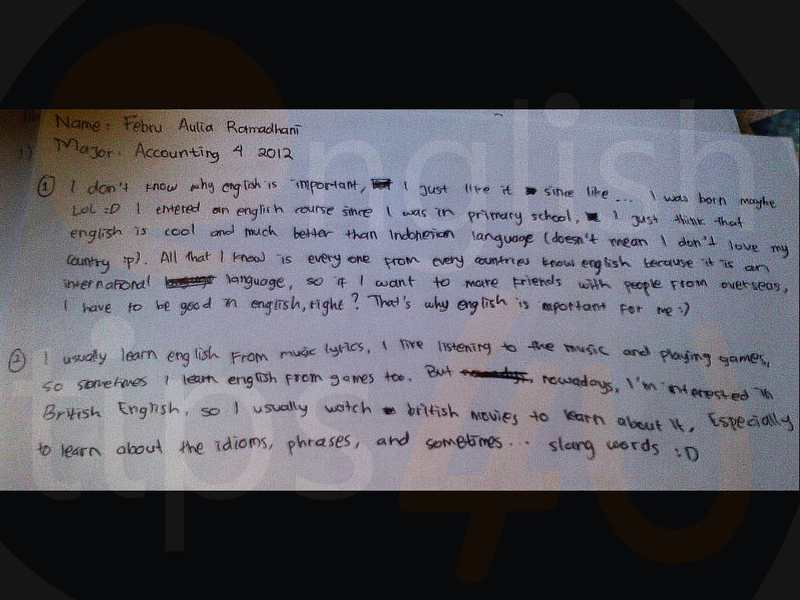 Compiled and written by @animenur for @EnglishTips4U on Sunday, 17 August 2014. Participate in the competitions and visit the festival. 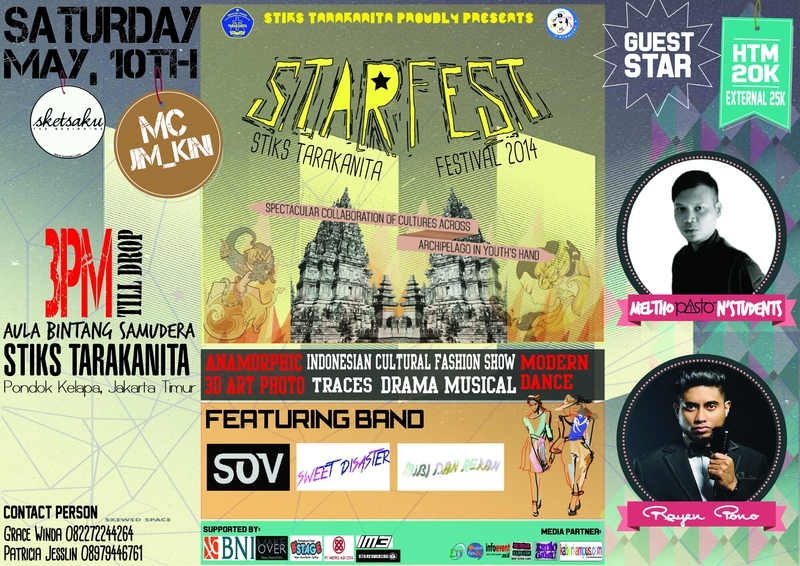 Contact @Starfest_2014 for more info and register by April 30th, 2014. Place: STIKS Tarakanita, Billy & Moon, Pondok Kelapa, East Jakarta. Place: STIKS Tarakanita, Aula Bintang Samudera, Pondok Kelapa, East Jakarta. 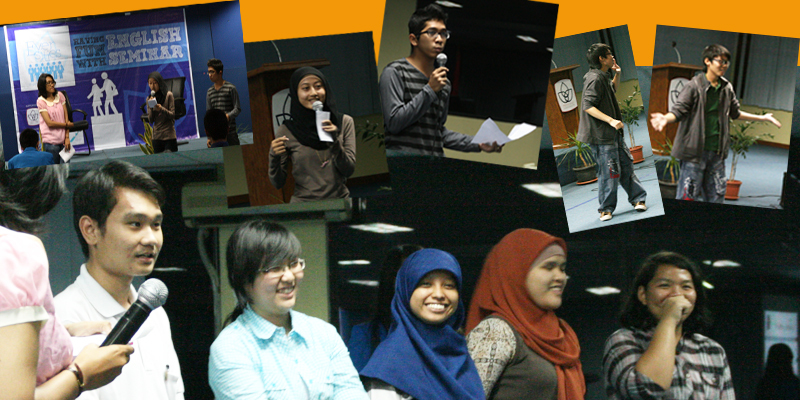 – Intelligent debate – Rp 250,000/team. #EngClass time! Are you ready, fellas? Today, we’ll talk about something to do with Modals. Have any of you heard about Should and Must? As a warm up, tell me what you know about Should and Must, fellas. What do they mean? How do you use them? Both Should and Must express obligations. Should dipakai saat menyatakan keharusan yang disarankan. Must dipakai saat menyatakan keharusan yang tidak bisa ditawar, wajib, kudu, tidak boleh tidak. Selain menyatakan keharusan, Should dan Must juga bisa dipakai untuk menyatakan kemungkinan atau keyakinan. “It must be the delivery man” . Keduanya sama-sama menyatakan perkiraan dan keyakinan akan siapa yang mengetuk pintu. Hanya saja, “must” menunjukkan bahwa admin LEBIH yakin dan hampir pasti bahwa kurir pizza sudah sampai; ketimbang saat mengatakan “should”. Enough with the appetizers. Now, here comes the main course! :D Today, we will talk about “should have” and “must have“. Meski ‘should’ & ‘must’ punya beberapa kemiripan. ‘Should have’ & ‘must have’ punya arti yang jauh berbeda. ‘Should have‘ berarti ‘seharusnya’, menunjukkan sesuatu yang seharusnya terjadi, tapi tidak jadi, dan diikuti dengan penyesalan. Maksud: Admin seharusnya beli nasi goreng. Nyesel deh tadi admin tidak beli nasi goreng. Akhirnya kelaperan karena lama menunggu kiriman pizza. ‘Must have‘ dipakai saat kita berasumsi dan yakin sesuatu terjadi. Menurut asumsi kita, sesuatu pasti telah terjadi. Maksud: Admin rasa operatornya lupa. Admin yakin operatornya lupa. Buktinya pizzanya tidak kunjung sampai. I shouldn’t have whined so much. It must have been hard to find the address. 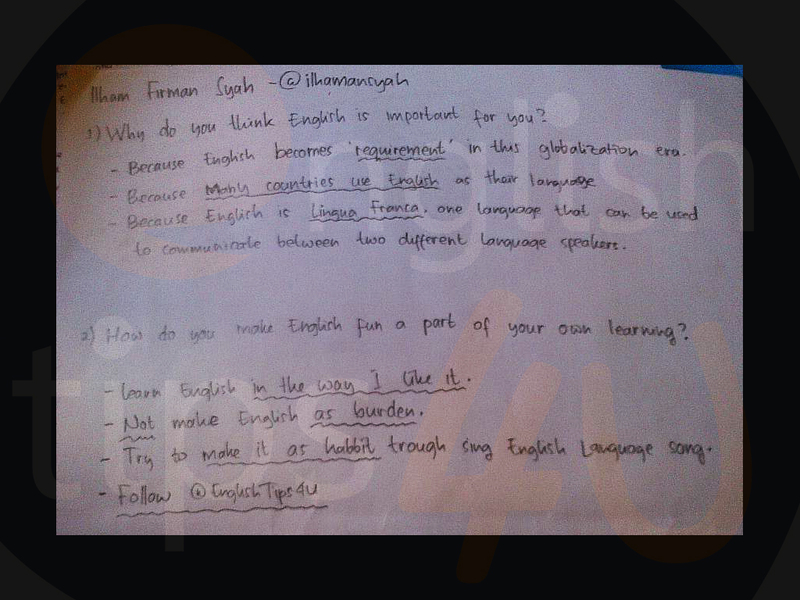 After some speeches from the Vice Rector III and Head of Project, Johnathan Davy, Admin Vitri (@daedonghae), representing @EnglishTips4U, discussed about why English is important, a glimpse of Etifoyu history, how to have fun with English, a video showing, games also usual Q&As occurred. In general, any language is important in our lives as it is the one thing used to communicate yet English somehow became the most important one specifically internationally used. It became a universal language in our life for centuries now. 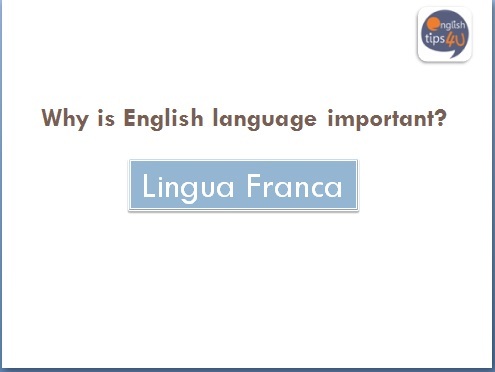 English language has become a Lingua Franca – A language or a mixture of languages used as a medium of communication by people whose native languages are different (http://grammar.about.com/od/il/g/linguafrancaterm.htm). Therefore English language has mostly become a second language that needs to be learned moreover it becomes most of this world’s ‘second’ native language. However, it is always not easy to learn any other language than your native language and that applies to anyone in the world. 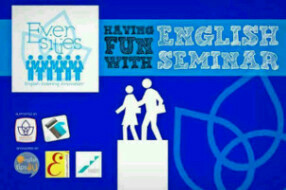 Learning English can be in a serious way also a fun way. But, which one do you prefer? 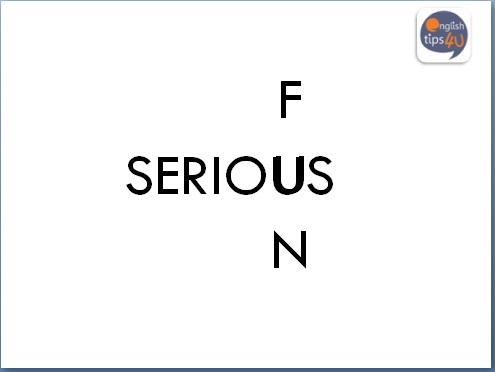 Do you rather learn English in a serious way or a fun way? 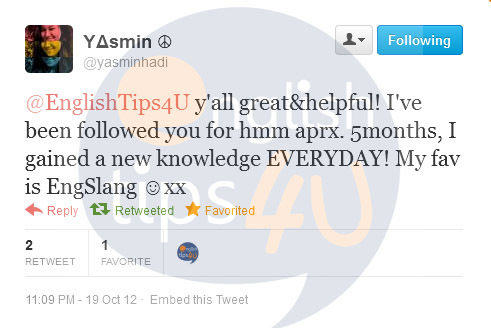 Well learning English in a fun way is one of the things that @EnglishTips4U have done so far. 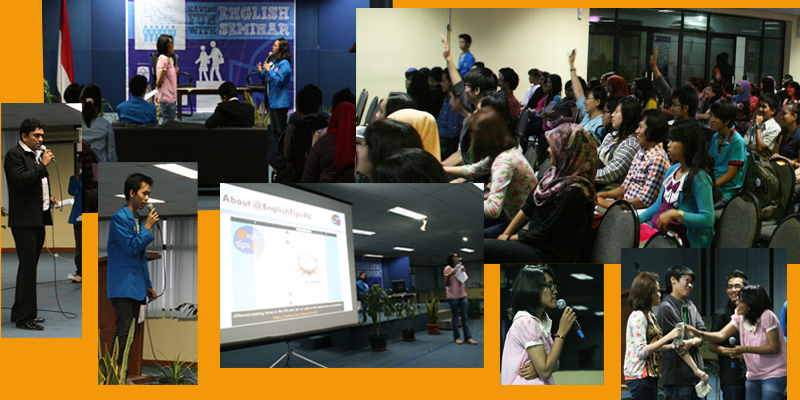 We also encouraged everyone, between admins and followers, to share and have fun with English language itself using Twitter portal and different categories of sessions. 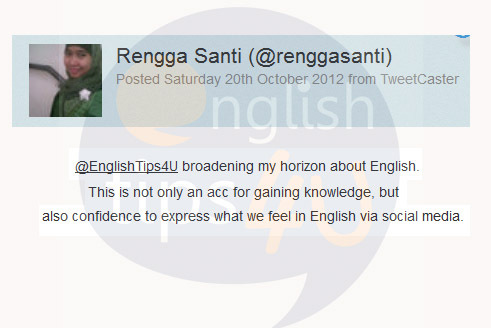 Sometimes abbreviated to the word “etifoyu”, @EnglishTips4U is a non-profit English learning portal and Twitter based also the first in Indonesia. 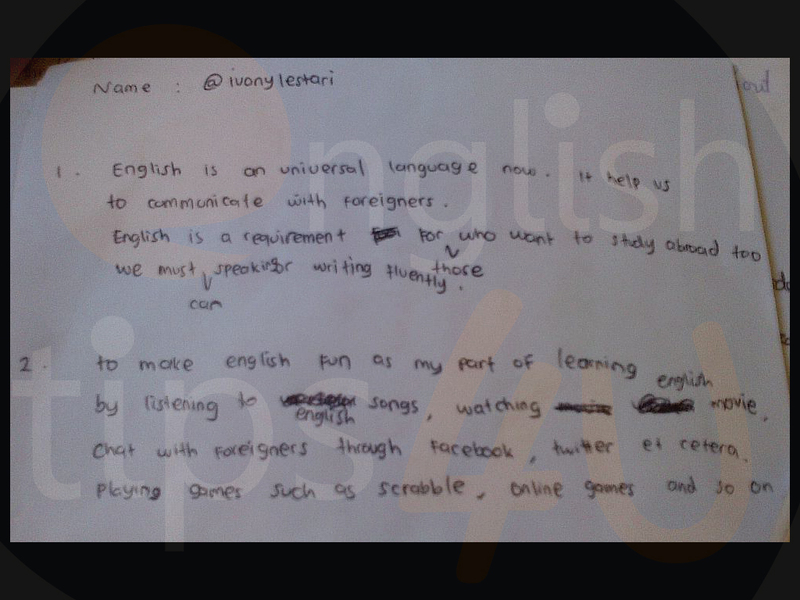 It was created by Retno Sofyaniek (@NenoNeno), an English Teacher currently living in Denpasar, Bali. 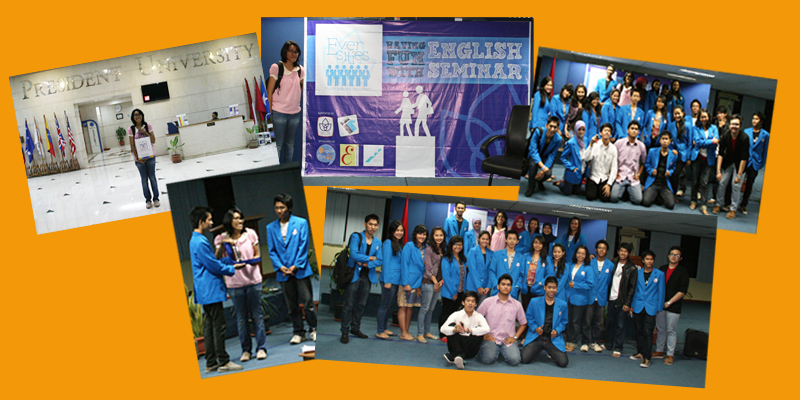 Our motto is “We help you learn English better, faster, and for free!” administrated by seven admins in Denpasar, Bali and Jakarta. 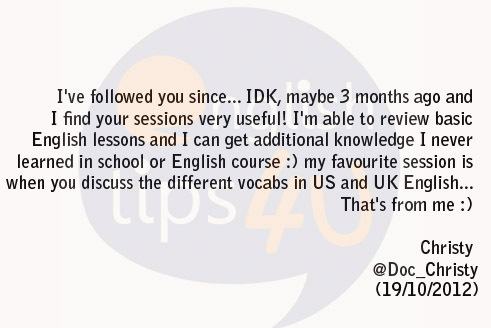 Our purpose to help our followers which we call them ‘fellas’ learning English Language in a much simpler, effective and quicker way by kultwit or twitter lecturing through interactions. It seems that we have reached our purpose and we’re really thankful that fellas like what we do. 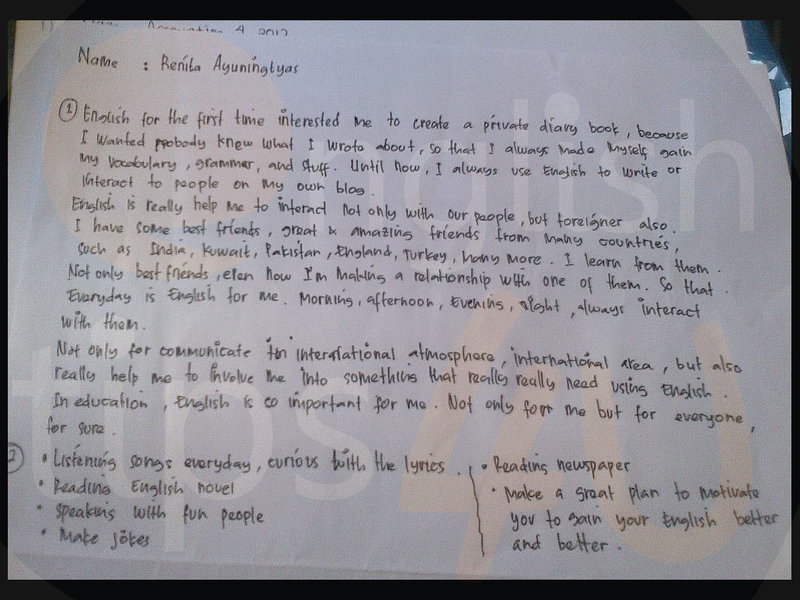 And yes even admin also wish schools taught us like this. But who knows in the future, and of course most likely not our generation now or maybe our generation English can be taught in a fun way instead of serious way. @EnglishTips4U always wants to encourage sharing because we and admin personally think sharing and discussion is always the best way in learning especially in this era where in twitter you just gather whoever you are, no matter where you from, it’s the globalisation era after all. 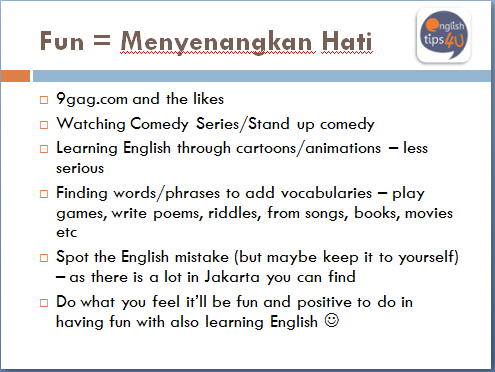 Some other ways to learn English in a fun way could be these options. Mind you, even though we are all adults, we have to beware of foul languages. Just be careful in using it. In Indonesia itself, people use it very often but admin is not sure if they do even understand what the meaning is. Admin is sure they wouldn’t care, but it is important to know when and where to use it. 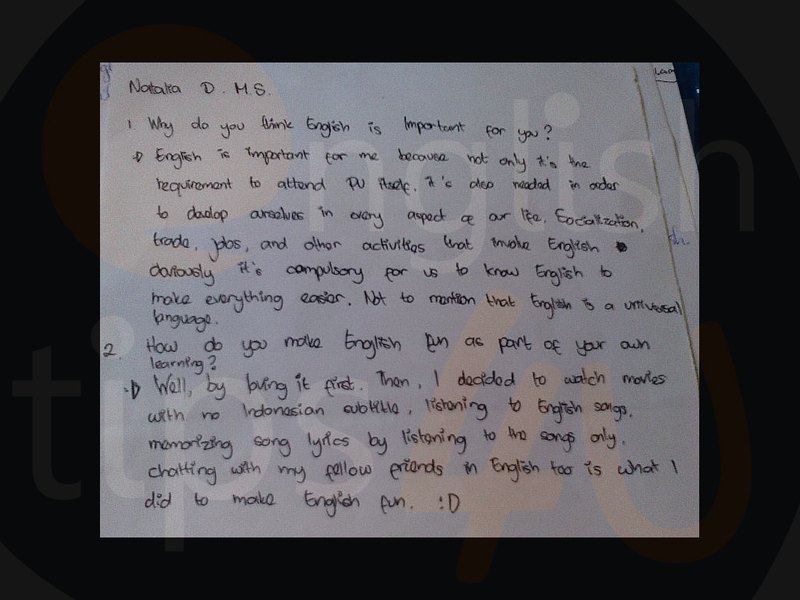 1) Why do you think English is important for you? 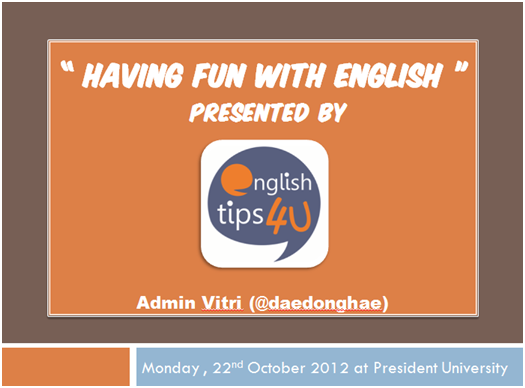 2) How do you make English fun as part of your own learning? 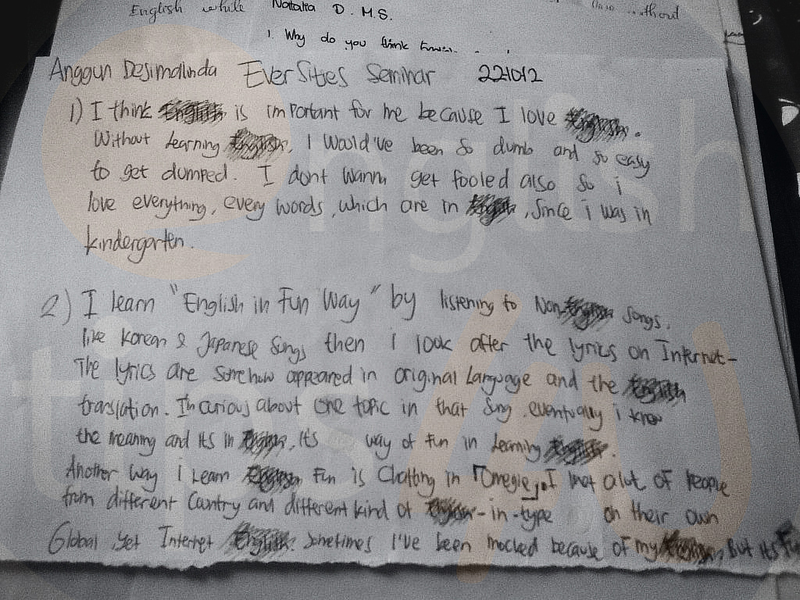 Answer: Admin would suggest to just be yourself, be confident about it as no one has ever had same accents after all. Answer: It’s possible and I have talked it during one of our #EngTalk sessions which came up with some interesting ideas about it. Answer: I suggest point at something and tell them what it is. I’m sorry I didn’t answer it really clearly but I just remembered that the name of this kind of teaching is a visual way kind of teaching. When they hold something tell them the name of the item then it is more likely they would remember. Answer: I was never in that kind of situation but what you can do is explain and if still ignored then ignore it and let it be. I would add here that, people shouldn’t be jealous of what language we are using. Language is universal and there are hundreds or even thousands of languages in this world. Would you stop a bule from speaking Indonesian? I bet you’re proud to hear them speaking our language right? Well maybe a bit worrying too, but that’s just someone jealous of you probably if they dare to state such thing and you shouldn’t be down about it. Answer: It is because of my background moving around with my family but later on I liked it and I thought it’s the easiest second language to learn compared to other second languages that are ‘demanding’ these days. The last part of the interaction was a mime game. As no one wants to volunteer, the MC picked one of her juniors to participate :) You can see the on the compilation picture above, on the right upper side, that he was really funny :) In here you get to mime a sentence of what they think of the seminar and the rest of the audience had to answer it.